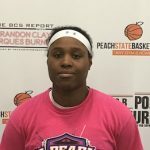 Class of 2019 point guard Mattie Hatcher of Little Rock, Ark., showed her skill at the PSBTipOffClassic in April 2017. Brandon Clay’s takeaway – PSBTipOffClassic (Apr. 2017): Hatcher is a crafty option at the point guard position. She is a shot maker from the outside with the handle to get her team in an offensive set. What she lacks in size, Hatcher makes up for in toughness on the hardwood. She comes from a lineage of college athletes and knows the work ethic it takes to succeed in that regard as a result. ‘19 PG Mattie Hatcher of @pulaskiacademy w/face time on @KATVNews. 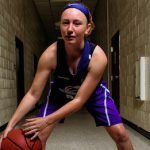 @ARHoopScoop, @ADGtim & @ARBballRankings have all said for years she can play. ‘19 G Mattie Hatcher (AR) had a dynamic ‘17-18 HS campaign. @ARHoopScoop & @ARBballRankings took note. 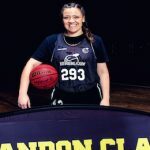 ‘19 G Mattie Hatcher (AR) can flat out score the ball. 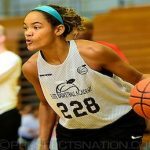 She shined at #PSBTipOffClassic. So far, this high school season is no different. 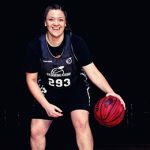 ‘19 G Mattie Hatcher (AR) exploded to start her season averaging 22 points per in two wins last week. '19 G Mattie Hatcher (AR) had a banner summer with the Arkansas Belles. 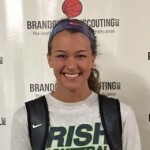 '19 PG Mattie Hatcher (AR) impressed our staff at #PSBTipOffClassic. ’19 PG Mattie Hatcher (AR) did her 1-2 at #PSBTipOffClassic last weekend.